Here you’ll find detailed information on where to eat and stay and a host of other options on what to do. 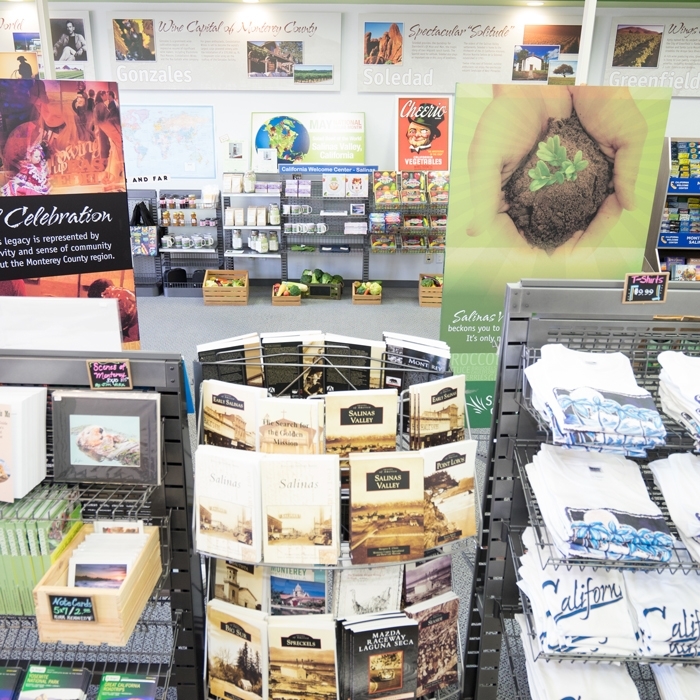 There are promotional materials, brochures, souvenirs and a friendly staff ready to answer questions. 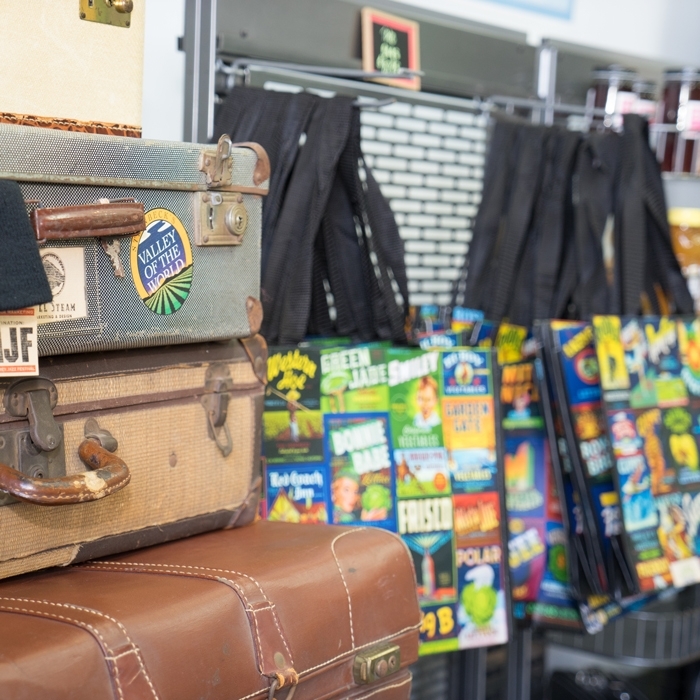 Plus, there is a diverse array of unique local items to choose as a memento to take home. 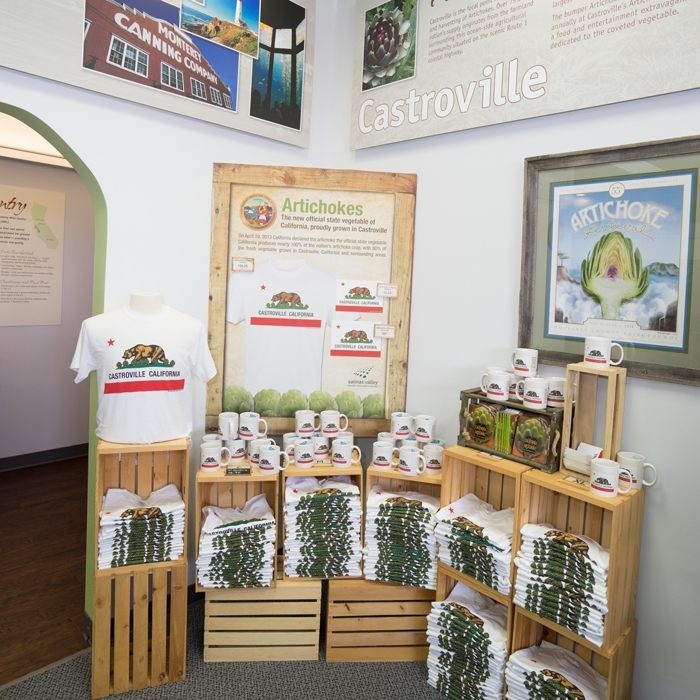 The Center features vivid area photography, breathtaking video footage and a diverse array of artifacts and collector’s items capturing each “corner” of the Central Coast region. 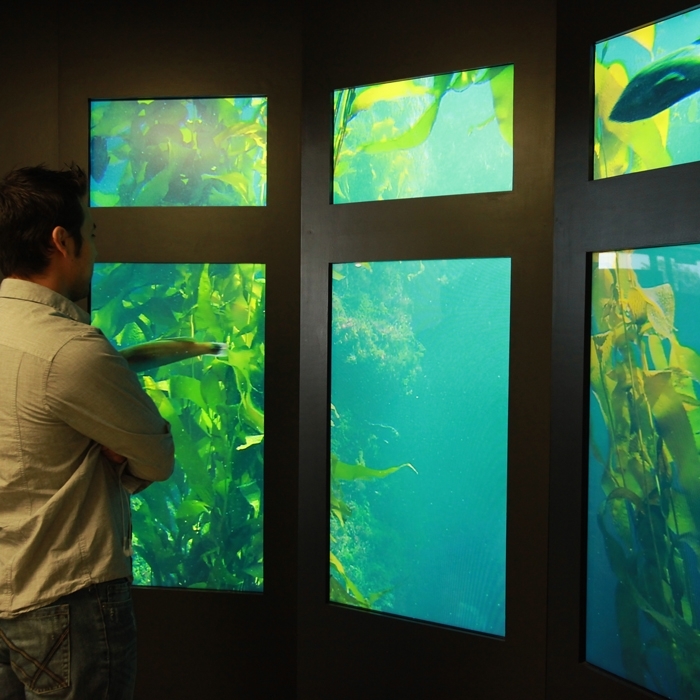 You can take a virtual tour through digital signage and video footage that provides an up-close-and-personal perspective on specific attractions in the area, like the National Steinbeck Center or Monterey Bay Aquarium. 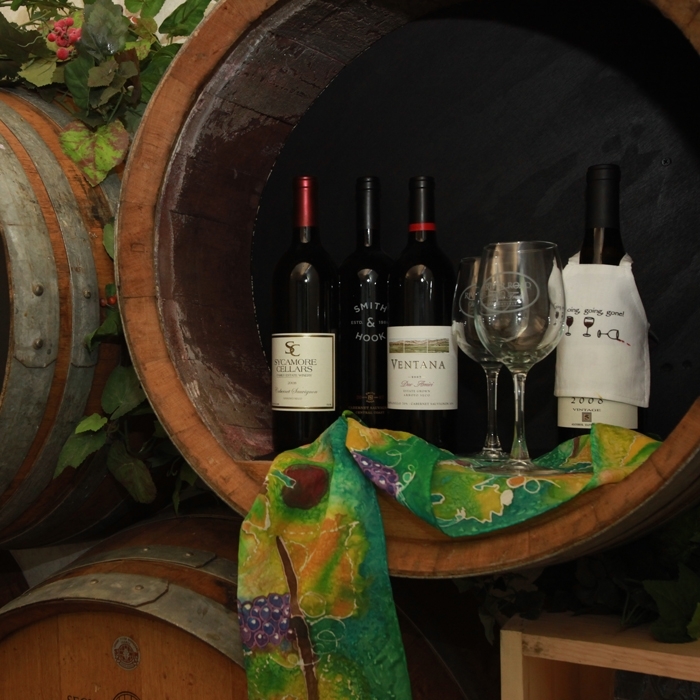 You’ll find easily accessible literature and intriguing items that collectively capture the essence of the region. There’s free wi-fi and internet, clean restrooms and great parking. Located in the Westridge Shopping Mall, 1213 North Davis Road, Salinas. 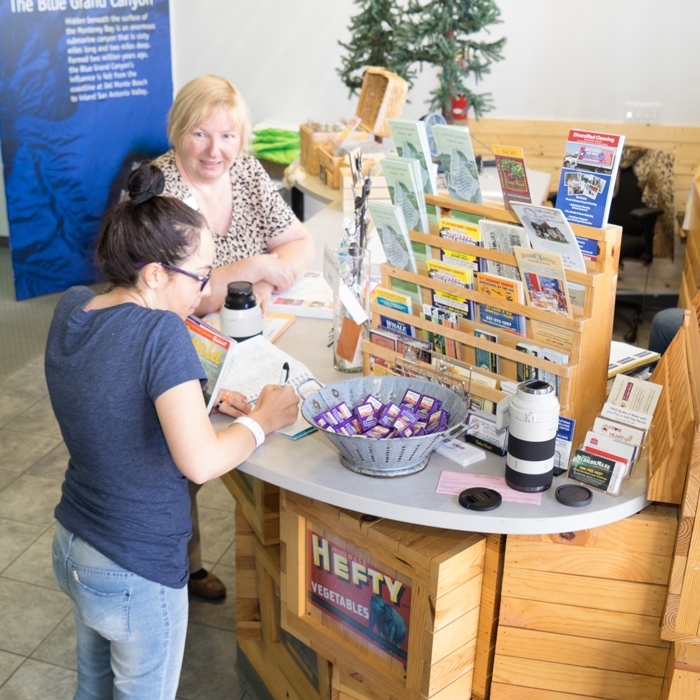 Open seven days a week from 9 am – 5 pm. Call 831-757-8687 for information or visit our Facebook page.